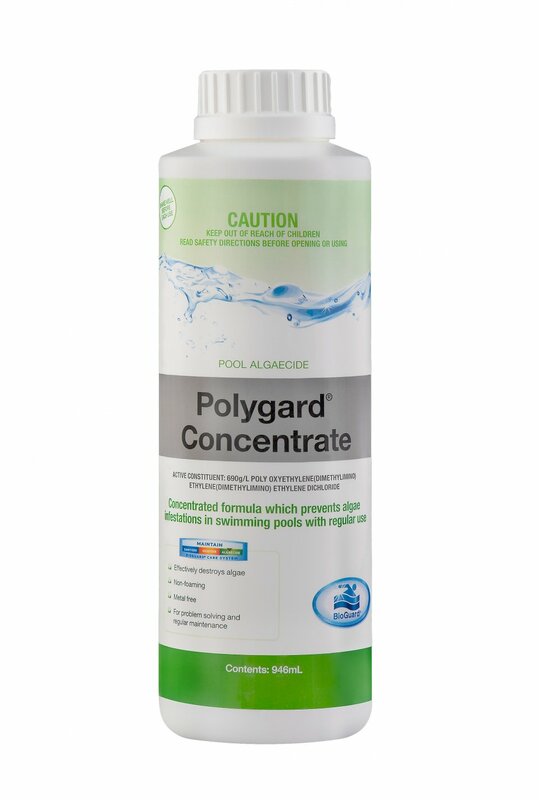 BioGuard Polygard Concentrate is a non-foaming polyquat algae preventative and algaecide that is excellent for use in pools with attached spas, fountains, or jetted returns. Effective on all common algae types. Works with chlorine or bromine. Excellent for use in pools with attached spas or fountains. Negligible effect on water balance.